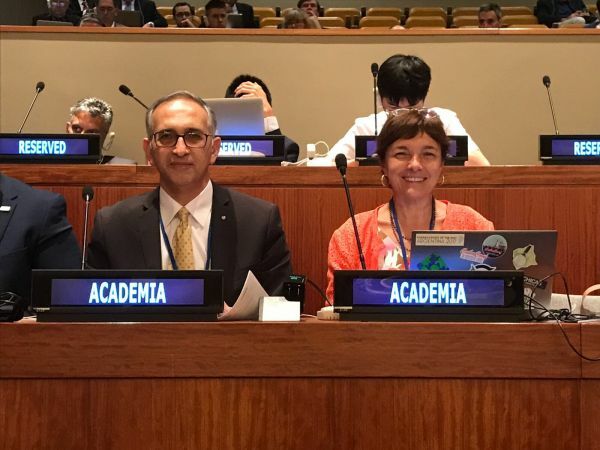 In his opening remarks, our Director Prof Abbas Rajabifard, as Chair of the UN-GGIM Academic Network, addressed the theme of the event, particularly in the areas of sustainability, resilience, and connectivity for urban communities and settlements. Read more about the Forum here. CDMPS and CSDILA are also working along this same theme and looking at these connections in the context of Infrastructure and Community Resilience, spatial technologies and policy implications. 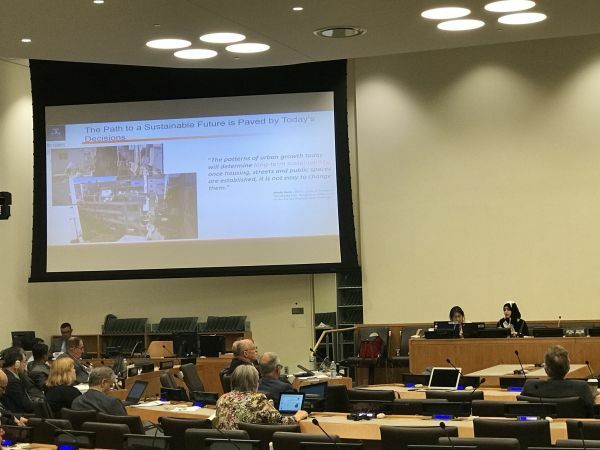 Our Research Associate Maryam Rabiee also presented at the forum on the topic of Mapping SDG Interactions for Cities. Her presentation was a small piece of a larger project she is working on with CDMPS and CSDILA: A Blueprint for Disaster Management RD&D Supporting the Sustainable Development Goals. Find out more here. 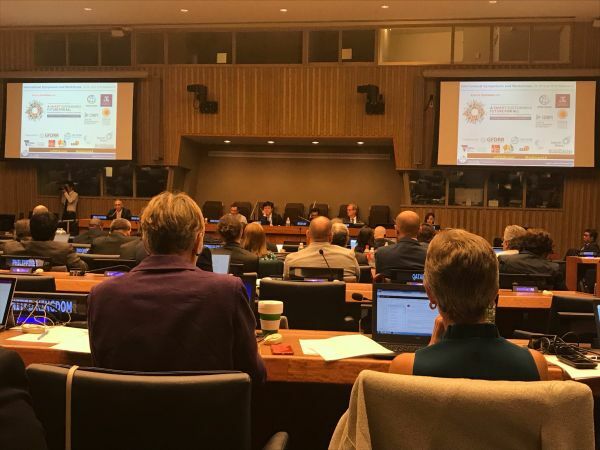 During the academic network report to the Eighth Session of the Committee of Experts on UN-GGIM, Professor Abbas Rajabifard announced that the Blueprint will be launched at our international symposium on A Smart Sustainable Future for All – Enhancing Resilience in a Changing Landscape in September 2018.